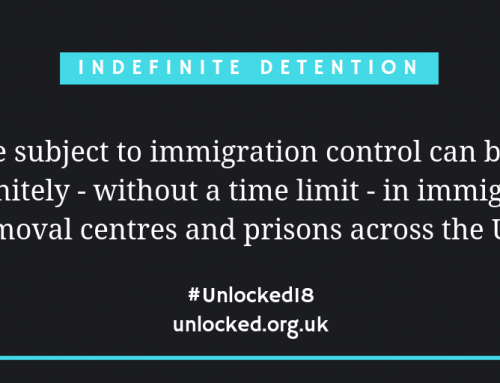 This year, the theme of Unlocking Detention is ‘friends and families’ and we’re focusing on the often unreported ‘ripple effect’ of indefinite detention and the way this experience can have tragic consequences beyond the individual detained. 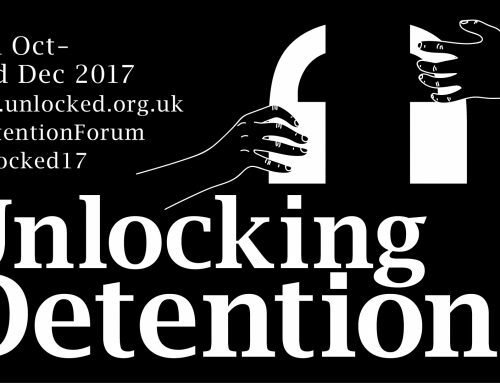 In this special Spanish recording for #Unlocked16, Julio from the Freed Voices group speaks to four close friends about the impact his detention had on them. In doing so, together – Julio, Luz, Maria, Isabel and Jair – provide a devastating insight into the wider affects of indefinite detention, how it shapes the Latin American experience of the UK, and the vitality of community organising in response to this extreme deprivation of civil liberties. 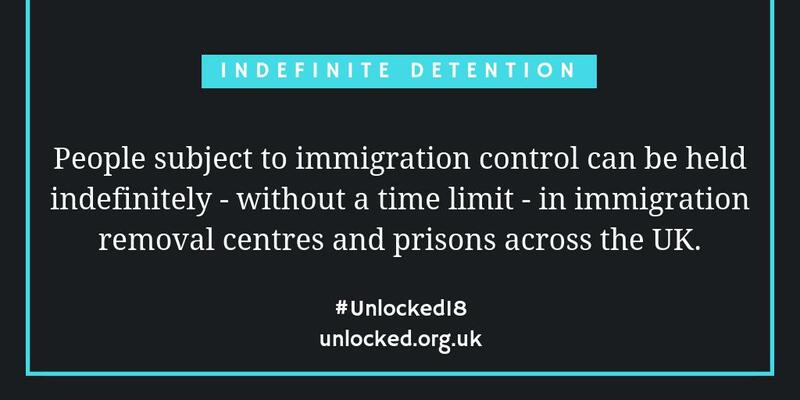 Huge/special thanks to Daniel Fernando Diaz-Cebreiro of the LondonLatinx for translating and transcribing this special recording for #Unlocked16 – please follow them on Twitter and Facebook, they do exceptional work supporting the rights of Latin Americans in the UK. You can find Daniel’s translation of the audio below. Julio: My name is Julio. I am a member of the Freed Voices group. We are a group of experts-by-experience who speak out about the realities of detention. Between us we have lost over 20 years of our lives to detention. I have lost 179 days in detention, which is equal to almost 6 months. Today, I am with people that are very important in my life – first, we talk with my great friend Alma Luz Lopez, and later with my friends Maria, Isabella and partner, Jair. 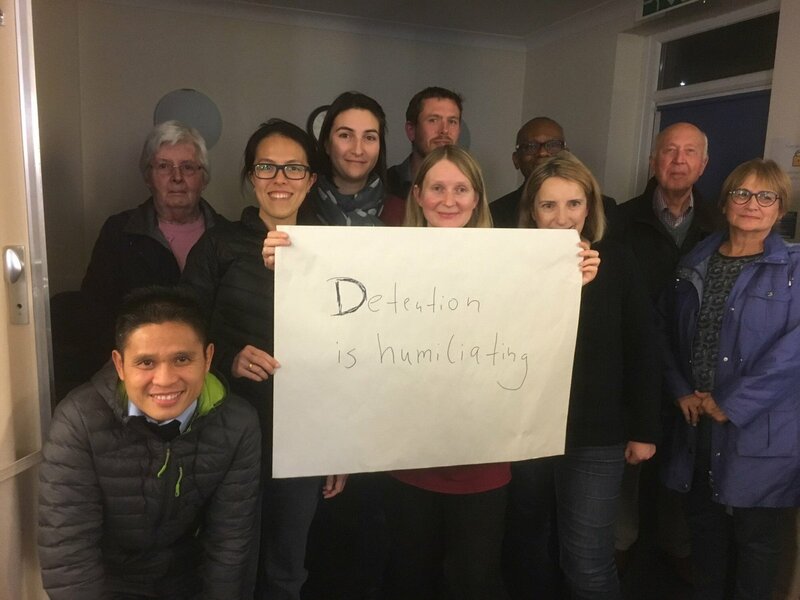 Detention had a big impact on me as an individual, but I want to demonstrate how detention can affect us all and, more generally, how it affects the Latin American community in the UK. Julio: How did you feel when you saw that I was being detained? Luz: I felt annoyed, upset, it seemed so unfair. And the fact that they refused to listen to anything was shocking. I was saying, “Please wait, let me call his solicitor, he has his case open and his application has been completed.” But they don’t listen, and you feel powerless because what they’re doing is so arbitrary. And so that was traumatising to witness, to see someone so close to you be taken and to see their face. Julio, your face fell because it was a terrible moment. Julio: Do you remember when you visited me at the detention centre? Luz: That was too traumatising. I had never seen anyone being detained before then. I began to cry because a person’s freedom is so important, and to treat you like that when you hadn’t done anything wrong. You know, if you’d come from another country without papers, and you had committed a crime then maybe, but when you’re trying to do everything properly with the right paperwork – it’s so unfair. I couldn’t even get near you or physically touch you at all because they are all over you, “oh you can’t touch his hands because he could get away.” So much restraint… “but why, why do you do this to human beings?” You have to be able to have human contact, be able to have a hug or a kiss, you know – freedom of movement. It was so awful to see you in the state you were in, your mood and self-esteem were so low. You were always such a happy, positive person and to see you like that was traumatising. Julio: How did you find visiting me in the detention centre, and then returning to your daily life? Luz: It was intense. I told myself that it felt awful that you weren’t a part of my life anymore. You were in there for so long. It was horrible to think that I wouldn’t see you again. Julio: What was the impact of visiting me on you? Luz: It’s just so many emotions hitting you at once, I didn’t know what to do to. I kept thinking; “What more can I do to make him feel better, to help him cope, to encourage him to keep fighting and not give up? What can I do to see him again, so that he carries on?” When this is someone who has never hurt anyone, who in fact has given so much to others, mostly to the community. Everyone knows that I’ve worked a lot in the community, and we both started a push to make the community more visible – as we’ve always been invisible. And so you’re part of that process, and then suddenly you’re not here and you’re in there, and it was like a battle had been lost. Julio: How did this whole situation affect you? Luz: The first two weeks were very intense, trying to move heaven and earth to get you out of there as we knew it was an unjust detainment. I lost weight, I spent weeks…I won’t say depressed because that is maybe too extreme…but two weeks desperately knocking on every door which I’d never had to do before, appealing to people’s kindness (especially those close to the community), convincing them that he was a worthwhile case and good person. And in the end we got their support and it was very good. However, they were two weeks in which I had no life because ringing you and knowing that I couldn’t get you out was traumatising. Julio: Have you seen changes in my personality? Luz: Yes, as I’ve said before you weren’t the same cheerful person you used to be, you tried to be brave for us and that is admirable. We tried to laugh, but we’d break down for a bit, breathe, and try to recover, and we’d try to support each other and give each other strength. But obviously, as I’ve known you for so many years I knew that you were making such a huge effort, I knew you were battling against yourself and I could see that you became depressed and that you wouldn’t accept it when I spoke about it. You tried to deny the fact that you were depressed, you would say “No I’m not, I have no reason to be” – but you were. Julio: How has it been for you in supporting me, financially and emotionally? How do you feel about this situation? Luz: Well I was working near the Immigration department in London since I arrived because I was often an interpreter at the airport on the other side, with the lawyers and other people. I think the country was in the middle of adapting to a new situation but the arbitrary side of how they deal with things is very difficult because they will not accept facts and they make many mistakes. And so it is very upsetting to know that it’s a process in which they’re not enforcing the necessary and right parameters to be able to judge these kinds of cases. Julio: Another question: what do you think of detention centres? Luz: I do think that there are things that need to be improved. 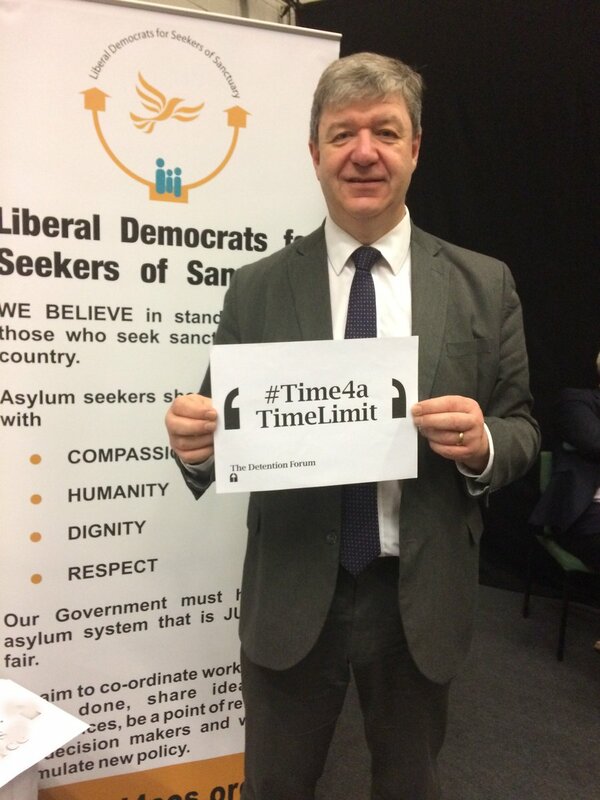 I don’t think that detention centres should exist within the immigration process. Sure they could have delinquents but why detain an immigrant, why lower their self-esteem like that? And make their family see them in that situation, having to take their children and see how a child doesn’t want to say goodbye to their mother or father because they’re detained simply because of their immigration status. It’s difficult as they’re so much to do, but I don’t dare to say it because I respect the law and agree with it, but we must review them so that they are managed in a way that benefits all of us. Julio: What changes could you see in my personality? Isabel: It totally affected you, psychologically and emotionally. Just remembering those moments you cry and get depressed. It affected you physically, psychologically, you became so thin and those bright eyes you had aren’t there anymore. It’s had a big effect, right? Maria: Yes, it’s affected you so much. You’re clearly on edge. You find it hard to concentrate, and to do things that you would have done. You were always so motivated, you always had such a driving force, an eagerness to do things. And now I don’t see it as much. Isabel: And now it’s not even the immigration issue. He is being called by the council tax people, by credit tax people, because of the financial effects…all the chaos he had in his life. Because they [the Home Office] made a snap decision and had him there for six months and three days in total. Julio: How have you found it, supporting me financially and emotionally…? Isabel: Ah no, you know that you’ll always have support from me, Julito. Always. Whatever you need and however I can help, you will always have my support. Economically and emotionally. Because it’s not always a financial need, but also if you need to ring someone and talk you will always have us. At the end of the day, if you go back to Colombia you have nothing there. You’ve already built your life and future here, you’ve been here for many years and all your friends are here – you have everything here, your whole life. You have your partner. And so you will always have me, one hundred percent. Jair: And we’ll stay here like this. Isabel: Getting so many signatures. And that experience also helps us to understand how much the Latin American community loves you – how much they’d fight for you – the number of people who supported you, how many signatures did we get, Maria? Maria: Oh my god, at least 500? Isabel: More than 500 signatures. Everyone I phoned all contributed £50, £100, £200, anything they could. Maria: Hey, they would send us like, “oh I don’t have much but I’m chipping in at least £10.” So, so many people. Sending empanadas, everything that was made. Julio: Well, how did my detention change your attitudes towards the law and the British government? What perspective do you both have? Isabel: My view has completely changed. Simply that the government has policies and documents that, when you see it all online or in public it all seems to work perfectly as an organised system. But in reality it’s only a piece of paper. And it benefits people who it shouldn’t, it’s not a fair or equal system. Maria: As I said before, I’ve become very cynical. I’ve become so cynical of all these empty words: “we’re a community, we’re a country which prioritises human rights, we’re a country where there is justice” – no. I don’t see it like that anymore. Justice only exists for the few. If we have the misfortune of falling on hard times like these, we don’t get justice. Julio: What do you both think we can do to contribute? How can we change this, and prevent these things from happening? Isabel: I think that we need to organise more in our community. If there were more Latin Americans in a position to take part in decision-making, and more representation in political and financial spaces. We have Elephant and Castle, for example, which has a great concentration of Latin American but in reality we don’t organise as a strong, influential group. And so it’s each to their own. And whilst there’s that drive and shared will to challenge the situation and fight for change, in reality I doubt it could happen because there isn’t representation in those areas where change can really happen. Julio: And the last question that comes to me: what can be done to prevent people from getting detained? Maria: More education so people can understand a bit more about how the immigration system works. And in your case I learnt how bad lawyers can be, who give really bad advice and only care about how much money they can get out of the client, instead of wanting to help you progress in your case and your immigration status. But they’re not interested in those benefits. So we need to educate, and campaign (as Latin Americans) so that people know that, if this is your situation you can go here and get help…more work within our community. Isabel: I feel that the detention centre here is the closest thing you get to a torture facility. Because at that point when you completely lose your freedom, and your access to basic human needs, and thirdly, that they can come at whatever o’clock at night to make you pack your bags and take you to the airport to only be brought back three hours later…that’s the closest thing to torture that could ever exist. And that’s where the problem lies – the fact that they don’t treat someone like a human being. Julio: Well that’s that. Thank you for coming. Thank you, my dears.